SSDI – Social Security Disability Insurance: A federal program paid for through payroll taxes, which provides payment to eligible disabled persons. Long-term disability (LTD) insurance: Some employers offer private long-term disability insurance, which pays a set percentage (typically 60 percent) of lost wages for a fixed period of time. These plans often require eligible claimants to apply for SSDI. In such cases, LTD payments will be reduced by SSDI benefits. Workers’s compensation benefits (WC): Employer insurance that covers injured employee medical benefits and lost wages in the event of on-the-job injury. These short-term benefits are meant to get injured employees back into the workforce. For longer-term or permanent injury or disability, claimants must apply for SSDI benefits. 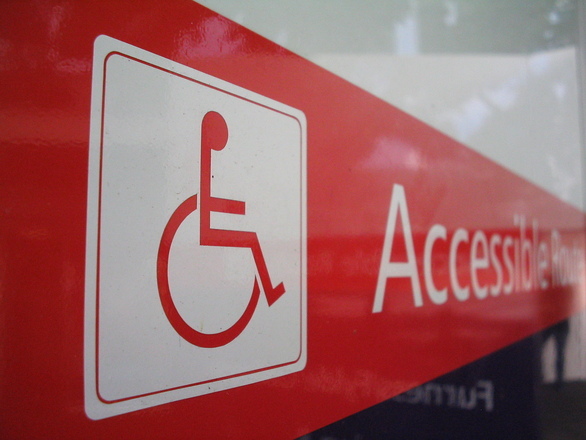 Disability lawyers in Boston know these resources are best sought with experienced legal help. While in place to offer timely help to injured workers, the reality is legal help is often needed to get timely benefits and the full compensation to which you are entitled. By consulting a Massachusetts law firm experienced with disability, workers compensation, personal injury and wrongful death, you can be best assured of asserting a comprehensive claim for compensation. Such cases may also result in a personal injury lawsuit. In cases where someone other than an employer was at least partially responsible for your injuries, such as a work-related traffic accident, or injury on a job site where a property owner or subcontractor was responsible, a civil lawsuit may be filed to collect additional damages. Such third-party liability lawsuits can recover money for pain and suffering and other damages not covered by employer or government insurance programs. In some cases, a workers’ compensation insurer may file a lien against such a damage award to collect (or “offset”) expenses already paid on your behalf for medical care or other benefits. Supplemental Security Income (SSI) may also be available to claimants in cases where minimum SSDI benefits are insufficient to provide adequate income. Initial dealings are often enough to convince claimants of the need for experienced help. The system is complex, benefits typically take more than a year to secure, and initial claims are routinely denied. Experienced legal help offers the best chance of making a complete and comprehensive claim at the outset. Your law firm will also be in the best position to fight any initial denial in a timely fashion. Following denial, most claims are won at a disability hearing before an Administrative Law Judge (AJL). In the State of Massachusetts, it can take anywhere from 387 to 430 days to be scheduled for a disability hearing. A look at how the government determines benefits, illustrates the complexities of the program. The Social Security Administration requires those seeking disability benefits to have earned 40 payroll credits, 20 of which must be earned in the last 10 years (credits are earned based on payroll taxes paid). Claimant must have a qualifying documented medical condition that meets the government’s definition of disability and be unable to engage in Substantial Gainful Activity that earns more than $1,180 a month (as of 2018). The SSA does not care whether you can perform your existing job, only whether you can engage in any gainful activity. Compassionate allowances: These are conditions for which the government has pre-approved Social Security Disability Benefits. More than 200 conditions are listed, most of these are terminal diseases, such as cancer, or serious conditions associated with long-term disability. Average benefit: As of 2018, the average SSDI benefit was $1,197. Claimants with higher incomes may receive up to $2,788 a month. Substantial gainful activity (SGA): Essentially, this means work for profit or benefit. This is a finding the government uses to determine if you are eligible to receive benefits and/or eligible to continue receiving benefits. Medicare: Medical coverage begins 24 months after the start of SSDI benefits. Trial work period (TWP): Period in which you may attempt to return to work while still receiving benefits. We answer some other common questions in our Social Security Disability FAQ section. While delays and denials are the norm when it comes to obtaining benefits, keeping benefits, working part time or attempting to return to work all have their own unique challenges. Being forced to return to work, or returning voluntarily, can result in termination of benefits and the need to reapply. Having experienced legal help can not only help you obtain benefits, but can help you avoid common pitfalls in keeping benefits while you focus on recovery, job training, or other aspects of your physical and occupational rehabilitation. The bottom line is that significant private and government programs exist to benefit employees who have been injured or become disabled. However, it is incumbent upon claimants to seek these benefits, and often fight for them. Our disability lawyers in Massachusetts are dedicated to making comprehensive damage claims on behalf of injured workers, across all eligible government programs, while working to identify other parties who may be liable for additional damages. Because we work on a contingency fee basis, we do not charge upfront legal fees. By working in exchange for a portion of any resultant damage award, we don’t get paid unless you get paid. Not only do our services not add to the financial distress of our clients, our clients can be assured we are working hard on their behalf at every stage of the process.